Bug - Changing resolution in the options menu makes the mouse cursor vanish. Once this has happened, the player can hit Enter to start a new game or hit Esc to close the game and return to Desktop. 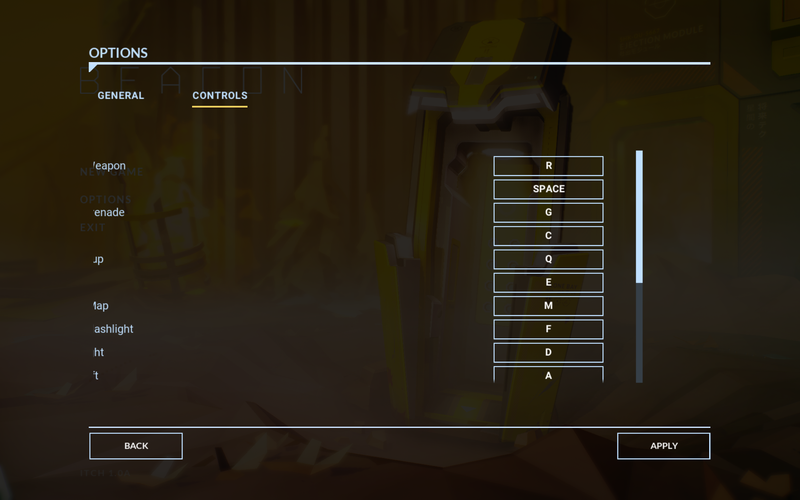 Bug - Changing resolution to 1920 x 1200 makes the Controls options unreadable. My specs probably don't affect these, do they? Hey! Thanks for bringing this to our attention & sorry you're having these issues! We'll look into it as soon as we can!